Our exhaust systems have been popular with customers across Somerset recently. 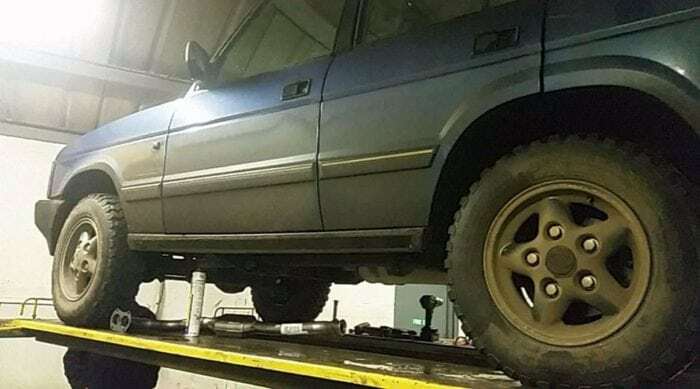 SAS Welding Services fitted a new exhaust to this Land Rover Discovery, which was quite a rare model 2.0 mpi. The Bolts had to be drilled out and retapped on manifold for a new down pipe/cat, as they had snapped off. It was the first job on our new vehicle ramp. SAS Welding Services can supply and fit new standard exhausts systems and also offer custom stainless steel exhausts. Contact us today to discuss how we can help you with your exhaust, for a variety of vehicles including Lorries, Tractors, Cars and other machinery.